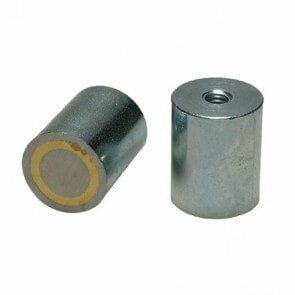 These bar magnets of AlNiCo material are cylinder shaped and characterized by having an AlNiCo magnet enclosed in the steel body. 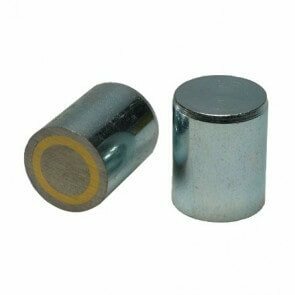 AlNiCo bar magnets are able to operate under particularly high working temperatures making the magnets highly suitable for industrial applications. The steel body provides protection for the magnet itself and it contributes to the increasing of the overall magnetic strength of the product.